'Tis the season to send greetings far and wide. Are you still searching for just the right card to represent your family? 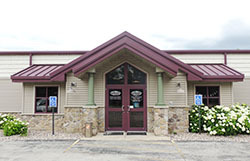 That's where Creations Galore is ready to step in and help. Last week Nicole had the privilege to share these photo cards, along with lots of other holiday ideas, on our local news station. You can see that segment by clicking here. 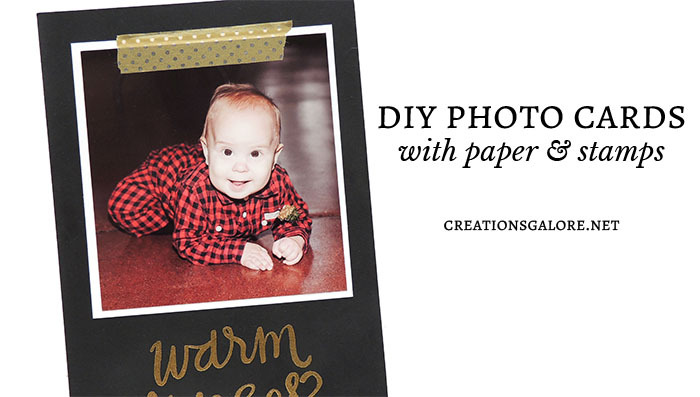 In today's post you'll see how to take photos and basic crafting supplies to create your own holiday photo cards. These first samples were low maintenance, quick cards to create and would be effortless to reproduce. We printed 4x6 and 5x7 photos and added paper directly to them. 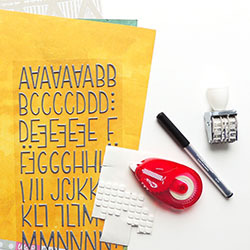 Pick a patterned paper or solid cardstock, and stamp your favorite sentiment. You could save even more time by printing the phrase from your computer, but where's the fun in that? 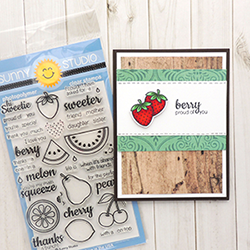 Whether you're stamping, printing from home, or choosing an online retailer to create your photo cards, don't miss out on the impact of adding your own embellishments. 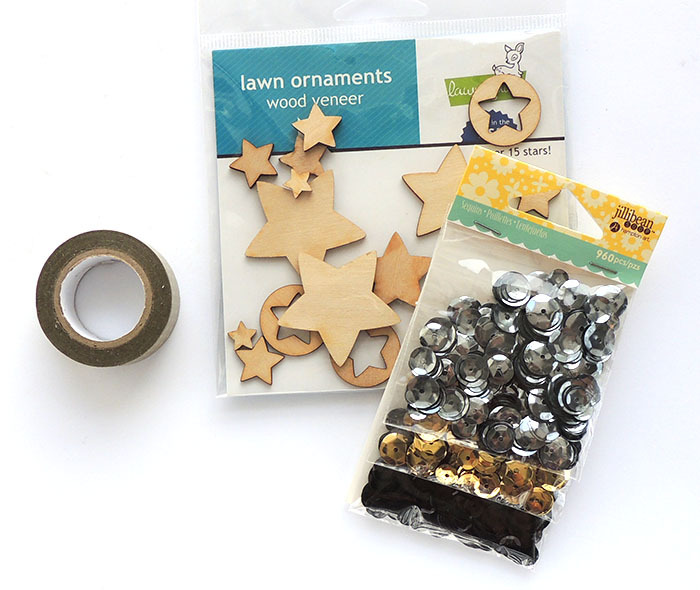 Washi tape, sequins, enamel dots, twine, and wood veneers are great ideas for spicing up your holiday cards. 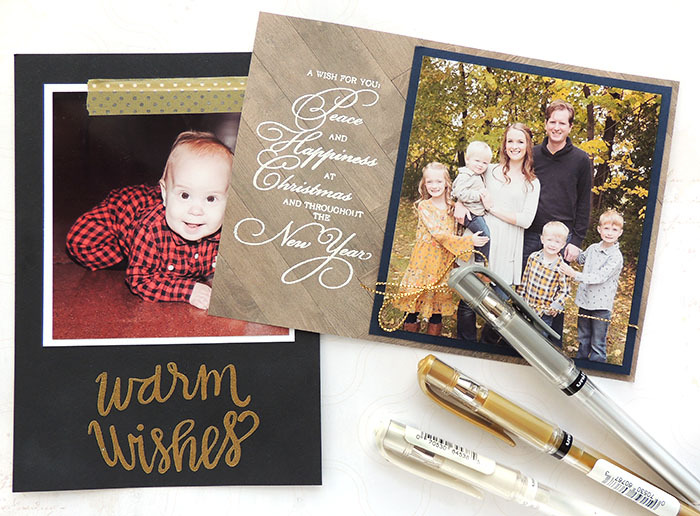 To go the extra step, mat your photo with a coordinating paper and heat emboss your stamped sentiment. 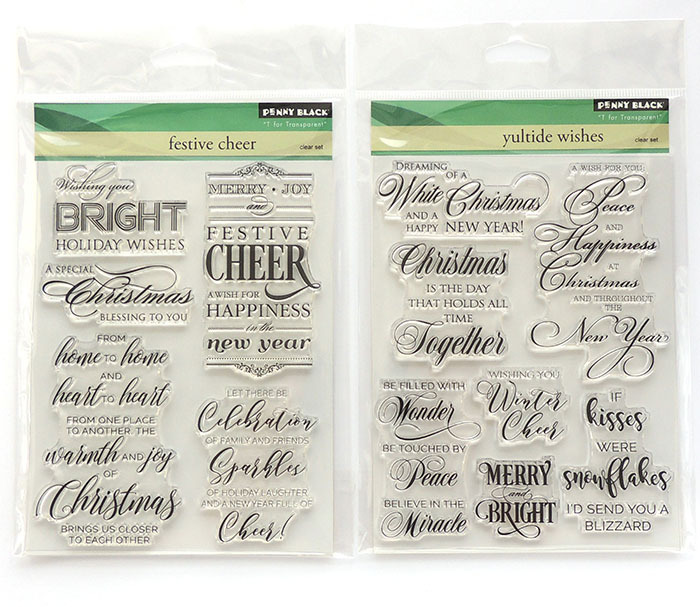 Embossing powders are opaque, which means the sentiments will show up on dark cardstocks and patterns. Worried about writing on dark papers? We've got you covered there too. Uni-Ball Signo Gel Pens are opaque just like embossing powders. They show up beautifully on a wide variety of papers and come in metallic colors as well. 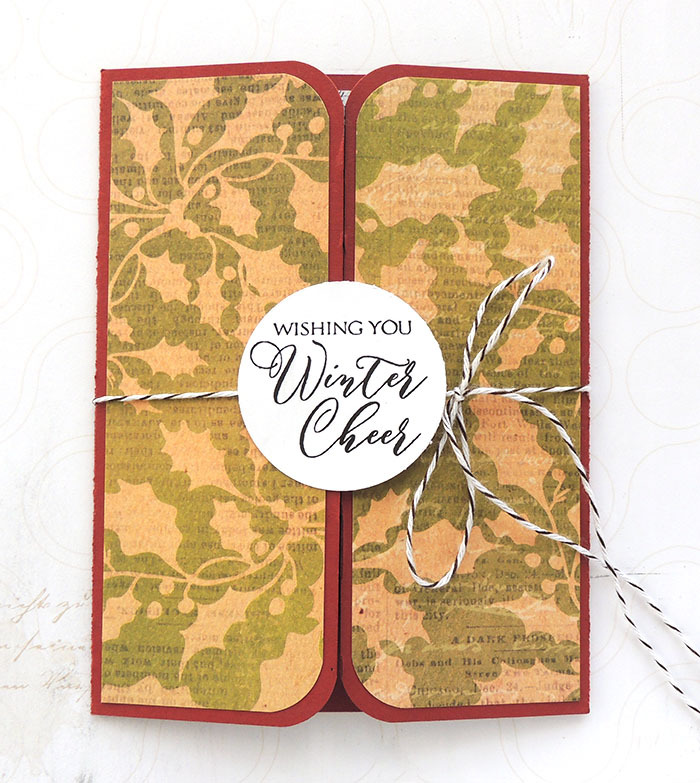 For all of these card samples, we used sentiments from Penny Black Inc stamp sets. 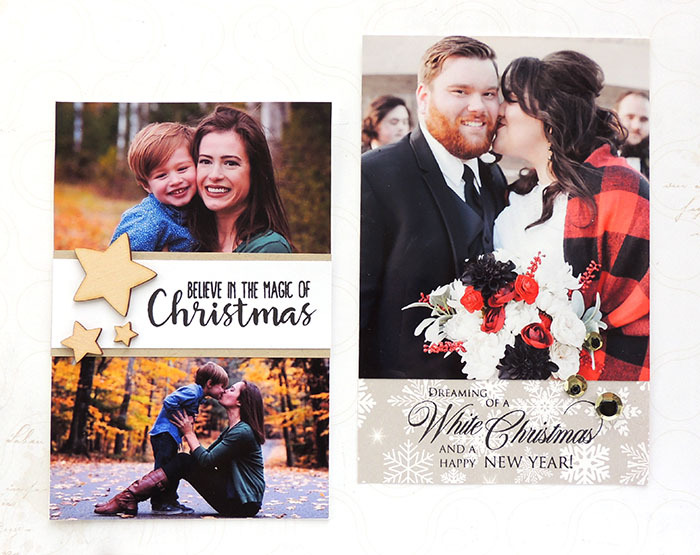 Festive Cheer and Yuletide Wishes are our favorite this year and are sized perfectly for photo cards. We can't wait to share this last idea with you. We rounded the corners and added strips of patterned paper to the front. A circle punch was used to create two round pieces. Half of each piece was adhered to the card front with a long piece of twine running in between. The card opens from the center for an exciting reveal. 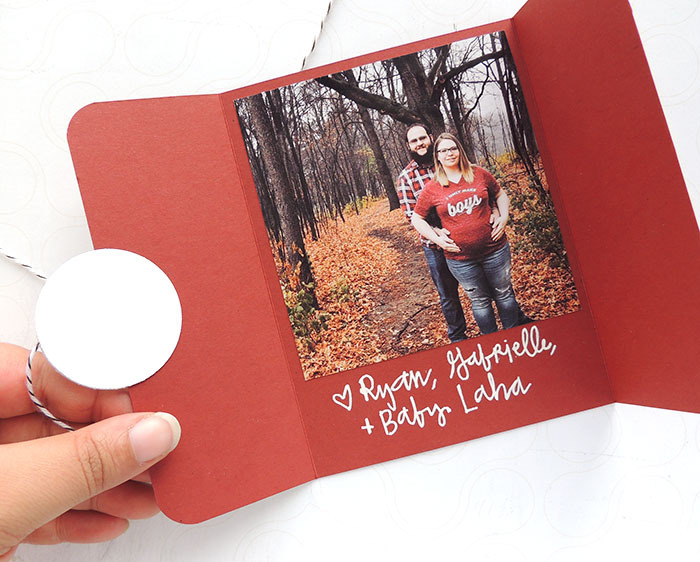 We love the idea of using this template for an engagement or pregnancy announcement. Personally, it was used to show off a gender reveal for Lori's son and daughter-in-law. There will be another BOY added to the family! 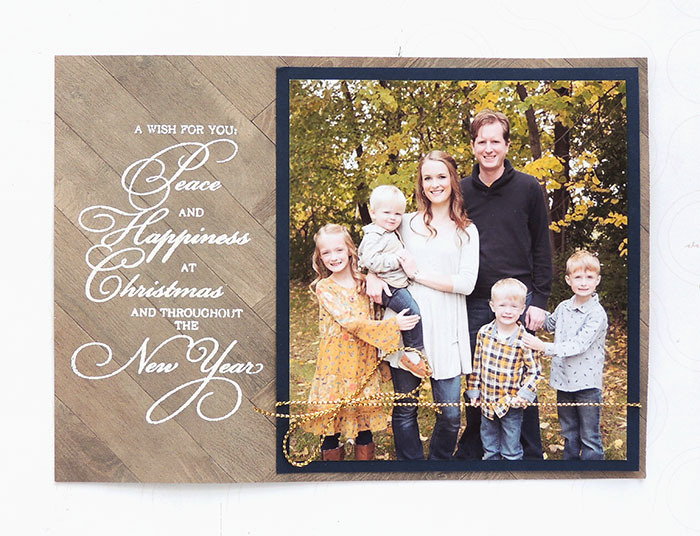 We hope you've enjoyed these ideas and find inspiration for your next holiday card. We'd love to know... How many cards to do you send out each year? Do you enjoy making your own?